Addiction recovery doesn’t happen all at once - it’s something that must be worked for every day. 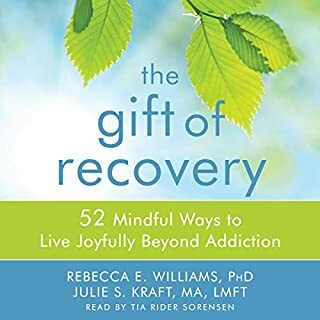 Written by two mindfulness and addiction experts, The Gift of Recovery offers quick, in-the-moment tips and tricks to help listeners cope with daily stress and stay firmly on the path to wellness. With this gentle, easy-to-use guide, listeners will learn how to navigate relationships, take time for self-care, and build a mindful, sustainable, and joyful recovery. With a rare mix of honesty, humor, and compassion, comedian and movie star Russell Brand mines his own wild story and shares the advice and wisdom he has gained through his 14 years of recovery. Brand speaks to those suffering along the full spectrum of addiction - from drugs, alcohol, caffeine, and sugar addictions to addictions to work, stress, bad relationships, digital media, and fame. Brand understands that addiction can take many shapes and sizes and how the process of staying clean, sane, and unhooked is a daily activity. He believes that the question is not "why are you addicted?" but "what pain is your addiction masking? Why are you running - into the wrong job, the wrong life, the wrong person's arms?" Russell has been in all the 12-step fellowships going, he's started his own men's group, he's a therapy regular and a practiced yogi - and while he's worked on this material as part of his comedy and previous best sellers, he's never before shared the tools that really took him out of it, that keep him clean and clear. Here he provides not only a recovery plan but an attempt to make sense of the ailing world. This book was amazing. By chapter 2 I had identified so much of myself in what Russell was saying. I immediately began self-reflecting nd noticed a big change in my attitude (mostly at work). I'm not an addict in the normal sense but I definitely have addict-like tendencies which come along with the mental disorder I have been trying (nd mostly failing) to maintain all by my lonesome. I fully intend to immerse myself in some parts, if not all, of this program nd see if I can't find some light at the end of this perpetually dark tunnel. I have always enjoyed Russell's humour nd his wonderful accent nd hearing his version of these 12 Steps (which I was familiar with prior to listening), nd his personal stories, made things clearer for me as I am far from religious nd not at all spiritual. 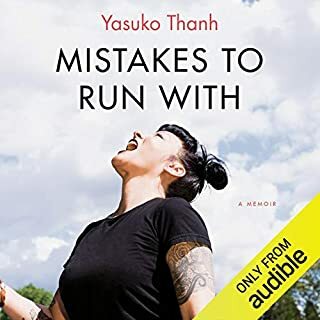 I recommend this book to anyone who may be struggling with life, not just addiction, but ALL the things life may throw our way. There's no better person than Russell to start this journey with as he can make the bleakest thing comedic nd yet still have you rethinking your own path. I plan on purchasing the physical copy as well so I can desecrate it with highlighters. We are all addicts in some sense and can benefit from what is in this book. You will see your life differently after reading this book. I loved how open Russell is about veey private events in his life, like the birth of his 1st daughter. His choice of words engage the senses and lile a good hypnotist, will put you into a trance and you will temporarily forget what ails you, then find that unknown well of motivation that's been under your foundation all along. Russell speaks TO you, feeling safe to slay your demons is often the biggest hurdle to slaying one's demons. Russell takes his role as recovery coach veey seriously. A lot of work has gone into this prpject, Russell even guides you to download worksheets from his website. 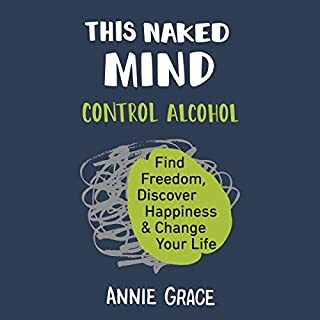 You don't have to be an addict to benefit from this book. 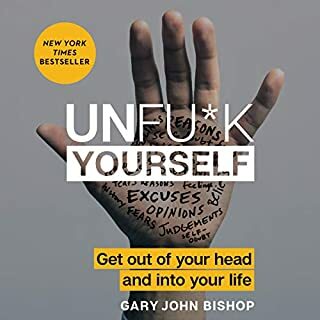 Anyone who's ready to push past limiting beliefs should listen to this book. Bravo Russell! I am so glad to have found RB! I totally agree with him that we need support groups for every challenge of everyday life! It so refreshing to have found someone preaching this and in such a creative and entertaining way. His style is completely engaging. I’ve belonged to Anonymous groups but they’ve never had this level of teaching. Now that I’ve been through it once, I will listen again and make notes. Thank you RB! I cried at your description of the birth of your daughter! 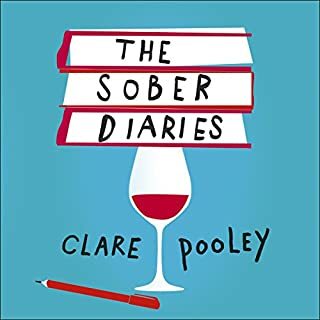 Compelling storytelling interwoven between deeply supportive guidance for all, regardless of your relationship with or awareness of addiction. Love the 12 steps but less editorial would have been nice. Great wisdom if you’re paying attention. Thank you, Russell, for sharing your , experiences, knowledge and understanding. I listened to this just at the right time in my life when I am seeking change for a beautiful life. After years of suffering co-dependency, mostly unknowingly, I reached out to a local program in 2015. You have put into words what I have been struggling to comprehend and I cry in liberation. Bless you. The content was good but Russels unnecessary wordiness sometimes dilutes the message. Helpful for those in recovery. 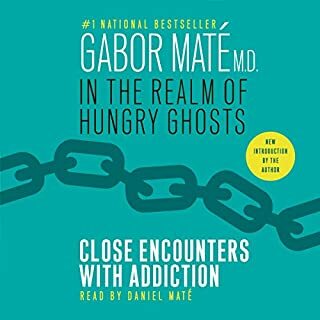 This is a book I think everyone could benefit from reading because it addresses addictive behavior in general: overeating to smoking or Smartphone dependency. 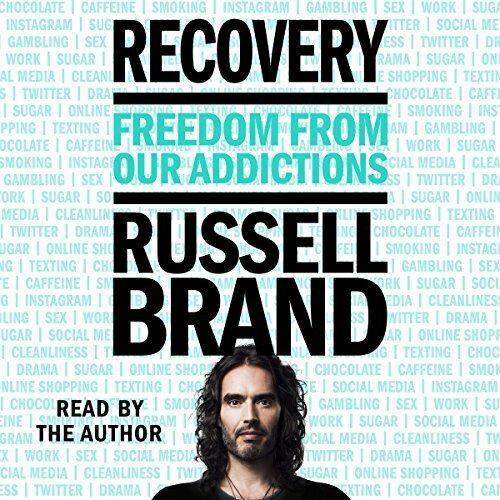 Russel Brand takes a fresh and inspiring, no-holes-barred approach to sharing his personal, addiction recovery story. I laughed, I cried and many times was awestruck at how eloquently he articulated the bittersweet and beautiful human condition. It is helpful and hopeful for those ready to recover. "Do you feel like you don't have the right to be happy?" This was the line that did it. I was entranced. Russell is giving us priceless information, and we need to be ready to hear it. Recovery was generous and beautiful. It is a primer for facing the fragility of human existence as well as a genuine life buoy for someone struggling with any kind of addiction in any of its forms. The writing was brave and vulnerable, and it somehow allowed me to reveal my vulnerability to myself bravely. The message was profound, yet quite simple. If you need to change, you can - since you can, then do - here's how. I do hope that anyone who needs this book finds it, and I suspect that could be almost everyone. Listen to it or read it for yourself and see. Thank you Russell. The repetition is a bit daunting. I do realize its necessity. The only way to drive these messages home is to repeat, repplay, and relive them. As an atheist, participating in certain 12 step programs can be a challenge due to their heavy christian undertones. They turn me off. Russell has a way of making it more neutral and easier to relate to. I highly recommend this book to everyone. We all have gaps and lacking. This can help. For some reason I thought this was going to be a story about Russell brand’s life, and some ways it was. I was pleasantly surprised that it had so much useful information for me personally. I also thoroughly enjoyed his delivery. Thank you for this book Russell. 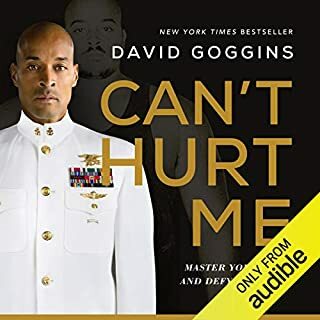 There is a little anecdote in the book where Brand is speaking with a counselor, a grueling session that has gone on and detailed the darkest parts of his life and the severity of his addictions. When she stops speaking she looks at him awestruck, and in that little pause, that on a sheet of paper is 2 tiny spaces, your mind reels with the thoughts that could fill pages... She simply tells him what a survivor he is to have found drugs. Think about that. 5 *'s? Sure. When an author expresses himself with such sincerity, intimacy, and intelligence -- I am inclined to feel gratitude for the shared experience. (And never has the phrase &quot;F*ed up* sounded so proper.) I also thought Brand's definition of addiction and how that broadened interpretation fit into our current world was significant. 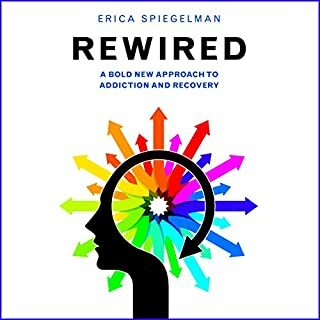 I bought this book to expand my understanding of addictions and recovery, and also as a reader that has experience with the subject professionally and within my family that is always looking to better understand. 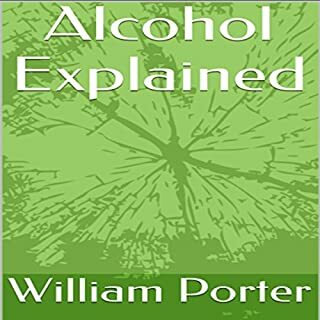 I've read extensively on the subject, lived with it, and worked with addicts. And I think that sadly, that has become the norm. Brand doesn't give us anything new here other than his own experience and testimony of the 12-Step program, but he does it with more insight, expanding the concept of *Higher Power* with wisdom and his own comedic touch. 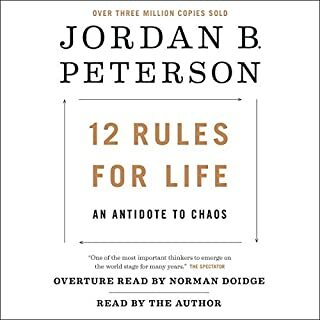 He applies the 12-steps to a wide variety of the obstacles that might be keeping us from being the person we are meant to be (drugs, alcohol, food, anger, selfishness, depression, etc.). 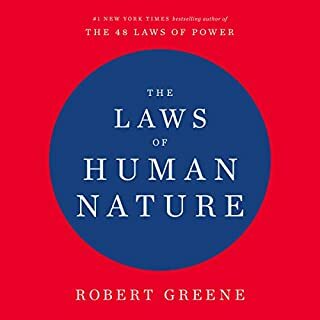 Rather than just educating myself, I came away with a desire to improve myself and be a little more at peace in my environment, and a little enlightenment. Some clinicians argue against the 12 Step program concerned that a participant would only be replacing one addiction with another...I think Brand gives an eloquent argument against that opinion. Brand has walked that razor-thin edge most of his life and knows the struggle very personally. This is a more than just his story fit into a guidebook, more than just another life preserver thrown out to those sinking. Brand seems to jump in and buoy up the drowning, and I am convinced he'd do just that. It's a fervent plea to those struggling under their own destructive burdens not to give up. 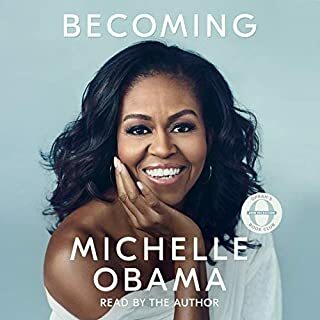 By sharing his detailed journey, the hidden pains and the glorious celebration of the birth of his daughter, he is convincing that it's possible to not only gain back wellness but to be embraced by a world where you are an integral part of a journey toward being F-ing magnificent. *It's Russell Brand...uncensored. It's intelligent, heartfelt, endearing, very funny, and maybe a *thank you for Life* written to the author's own Higher Power. 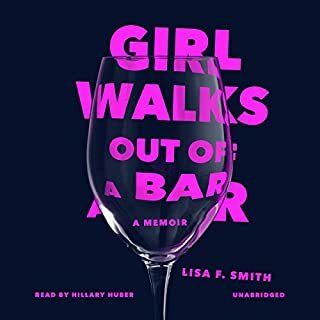 A case where the author brilliantly narrated his own book--I loved listening. 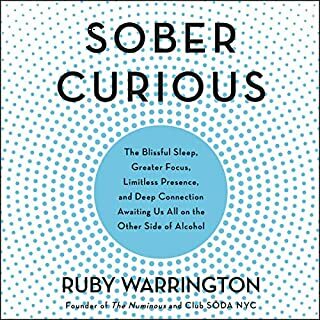 Whether you do or do not think you have an addiction - read this book! Because this is for everyone. This is for those who seek balance but are defeated at the end of each day wishing they could just control something or change something so they could feel good. This book is for those who believe they are missing something. Ok I'll quit raving. In addition to above - it is well written. 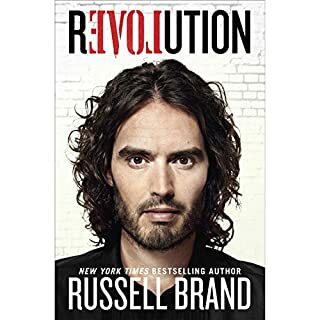 And who better than Russell Brand to read his own book? It was a pleasure to listen to - I say as I am going to listen to it again. 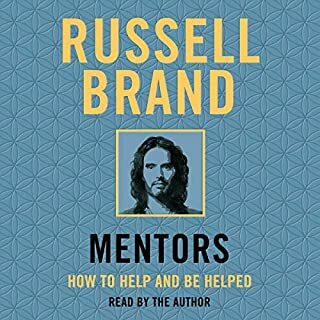 This insightful book from the very funny yet serious Russell Brand helps to solidify my opinion that comedy comes from pain, that pain can be worse than death, and that helping someone else through something is the best cure for your own illness. Russell as recovery coach is both helpful and funny - - a pretty difficult balancing act. This does not replace doing a program, but explains a lot about the mind space you'll need to do just that. I defy anyone listening to this to NOT learn something about yourself. Good on you, mate. Russell sums up addiction and recovery in an honest and educated way. 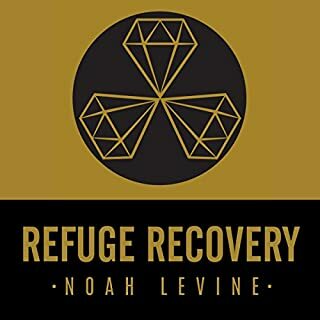 He tells his story from a place of profound authenticity, and demonstrates through personal experience that his sobriety and serenity is contingent on practicing and expanding a spiritual program of action. His writing is poignant and poetic... parts feel like very accessible spoken word at times. I listened to the audio book on a drive from the desert to the coast. It was entertaining and hypnotic. Even though I've been happily and gratefully sober and very active in 12 step recovery since my early 20's, I learned a great deal from Russell's perspective. Thank you Russell, for being a beautiful example of what I believe is a Divinely inspired program and way of life! This book should be shared with anyone affected or interested in addiction. A beautiful and brave book!! KUDOS to you Russell Brand!! Thank you for comically, insightfully and humbly converting your personal hell into a tangible map which can lead the rest of us out of the burning flames of our own insatiable egotistical desires. I am cooking in the stew of my own melange of addictions and am so relieved to now have the recipe to get the hell out of the fire! SINCEREST GRATITUDE for this courageous work! you inspire me immensely! my greatest hope in life is to also transform my lifetime of failure and addiction to humbly serve humanity for a greater good! Thanks for paving the way! Peace and love to you and your family!